PORTAGE – Russell J. Crawford, age 61, passed away unexpectedly onFriday, March 15, 2019 at his home in Pardeeville/Township of Wyocena. Russell was born on March 11, 1958 in Portage, the son of Elmer and Rena (Grossman) Crawford. He graduated from Poynette High School in 1976. Russell had worked at the Columbia Generating Station for 41 years as a Unit Operator. His true friends called him “Gabby”, he had a good soul and was always willing to help others. Russell was mechanically inclined and loved to tinker on old cars, trucks and tractors. He is survived by his siblings, Shirley Boettcher, of Madison, Randy (Julie) Crawford, of Poynette, Rick (Kay) Crawford, of Eau Claire, Sherry Kreutzer, of Pardeeville, Janice (James) Walker, of Pardeeville, and Julie (Rob) Bennett of Montello, five nephews, 3 nieces, many cousins, other relatives and many friends. He was preceded in death by his parents. 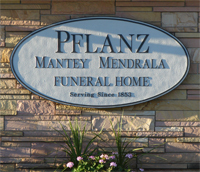 Funeral services will be held at 12:00 p.m., on Friday, March 22, 2019 at the Pflanz Mantey Mendrala Funeral Home in Portage, with Robert Bennett officiating. Burial will follow in Oak Grove Cemetery. Visitation will be held from 5:00 p.m. until 8:00 p.m. on Thursday, March 21, 2019, and on Friday, from 11:00 a.m. until 12:00 p.m. at the funeral home.